"This is now or never, this is the last chance. Let's give the British public what they want." Amir Khan-Kell Brook still has a '50-50' chance of going ahead, but this is the 'last' opportunity for the elusive British battle, says promoter Eddie Hearn. The long-awaited domestic clash was thrown into fresh doubt this week, with Khan entering talks for a fight with WBO welterweight champion Terence Crawford, just days before Brook's return to the ring against Michael Zerafa on Saturday night, live on Sky Sports. Promoter Hearn guides the careers of both fighters and is refusing to give up hope that Brook-Khan can still be agreed. "There's talks for the Crawford fight. 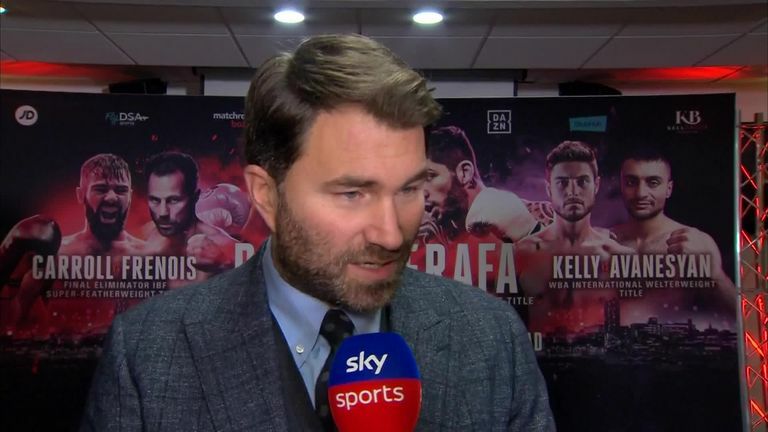 I've spoken to Bob Arum, I've spoken to Amir," Hearn told Sky Sports News. "I'm not having too much to do with that side, because I don't want that fight. I want the fight that's going to create the legacy in this country, and that's Brook against Khan. It's a massive fight where Amir can make twice as much money as the Crawford fight. Right now I think it's probably 50-50 whether he fights Crawford or Brook. But like I said, as far as I'm concerned this is the fight, Kell Brook. "But Amir seems to think the Brook fight is always there. It's not. This is now or never, this is the last chance. Let's give the British public what they want. "If Amir can beat Kell Brook, he could fight Crawford after for more money than he's going to get now. I don't see any excuses and Kell's right. I've been with him a long time and I signed Amir Khan with a view to make this fight with Kell Brook. I believe the British public deserve this fight. "Amir's got options, Kell's got options and they are going to make their decisions. Right now I think it's probably 50-50 whether he fights Crawford or Brook. But like I said, as far as I'm concerned this is the fight, Kell Brook." 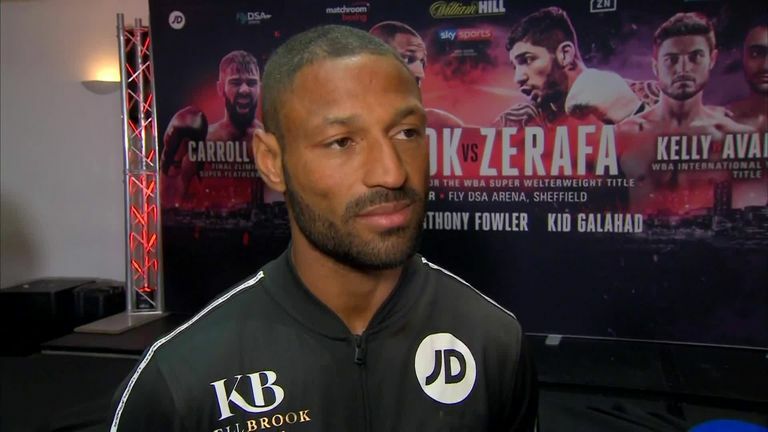 Brook's fight with Zerafa is a final eliminator for Jarrett Hurd's WBA super-welterweight title and Hearn admits the Sheffield man has plenty of alternative options at 154lbs and at welterweight. "He could fight Jarrett Hurd," said Hearn. "I would love him to rematch [IBF welterweight champion] Errol Spence. He could rematch Shawn Porter, he's already beaten him. Porter now has the WBC [welterweight] title. "Danny Garcia is a great fight. Jessie Vargas, our guy Stateside, he could fight him. Kell's okay, but still the money fight, the grudge fight, the hype fight is Brook-Khan."